The 2018 South Dakota Vacation Guide is a 265-page, full-color traveler's guide to South Dakota. 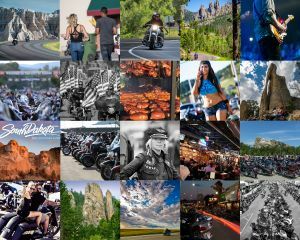 It's a big, comprehensive magazine filled with color photos, different maps and information on attractions, accommodations, and visitor services in all corners of the state. The guide includes over 140 pages on the popular Black Hills and Badlands region of western South Dakota and eastern Wyoming.